Position: Principal Research Fellow of the Department of Philosophy of Logic and Methodology of Science of the Institute of Philosophy named after G.S.Skovoroda of the National Academy of Sciences of Ukraine, Doctor of philosophical sciences, Professor of Kyiv University of Law, Professor of mathmatics and physics at the National University of "Kyiv-Mohyla Academy." 1974 Ph.D., Institute of Philosophy, NASU, Kyiv, Ukraine. 1987 Doctor of Sciences, Institute of Philosophy, NASU, Kyiv, Ukraine. Invited editor of Synthese: Logic and Philosophy of Science in the Ukraine, 1994, 100, 1. Gabovich A. and Kuznetsov V. What do we mean when using the acronym 'BCS'? The Bardeen–Cooper–Schrieffer theory of superconductivity // Eur. J. Phys. 2013, 34, 2: 371-382. Balzer, W. and Kuznetsov, V. (2010). Die Tripelstruktur der Begriffe // Journal for General Philosophy of Science 41, 1: 21-43, DOI: 10.1007/s10838-010-9113-1. Kuznetsov, V. (2004). On Representing Relations between Physical Concepts // Communication and Cognition 37, 2: 105-135. 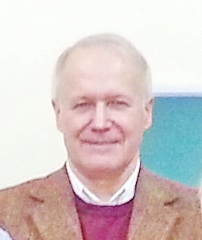 Kuznetsov, V. (2003). The Triplet Modeling of Concept Connections // Philosophical Dimensions of Logic and Science. Selected Contributed Papers from the Eleventh International Congress of Logic, Methodology, and Philosophy of Science. / Ed. by A.Rojszczak, J.Cachro and G.Kurczewski, Kraców, 1999. Synthese Library. – Vol.320. – Dordrecht: Kluwer, P.317-330. Kuznetsov, V. (1999). On the Triplet Frame for Concept Analysis // Theoria, 14: 39-62. Kuznetsov, V. and Kuznetsova E. (1998). Types of Concept Fuzziness // Fuzzy Sets and Systems 96, 2: 129-138. Kuznetsov, V. (1997). On Triplet Classification of Concepts // Knowledge Organization 24, 3: 163-175. Burgin, M. and Kuznetsov, V. (1994). Scientific Problems and Questions from a Logical Point of View // Synthese 100, 1: 1-28. Burgin, M. and Kuznetsov, V. (1993). Properties in Science and Their Modelling // Quality and Quantity 27: 371–382.